20 bags organic, vegan friendly Clipper Nettle & Mint bags. Nettle and peppermint both have properties recommend to settle upset stomachs and digestive complaints. Organically grown nettle, organically grown peppermint (5%), natural peppermint flavour. 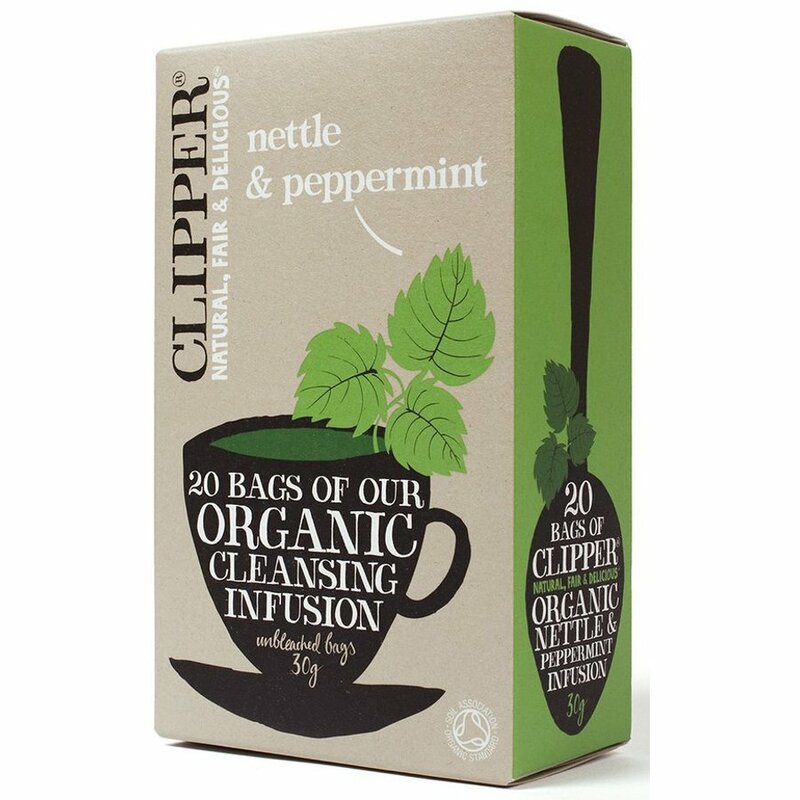 The Clipper Nettle & Peppermint Tea 20 Bags product ethics are indicated below. To learn more about these product ethics and to see related products, follow the links below. Delicious. Now drinking the second mug full this afternoon. Settles stomach, great for morning sickness! 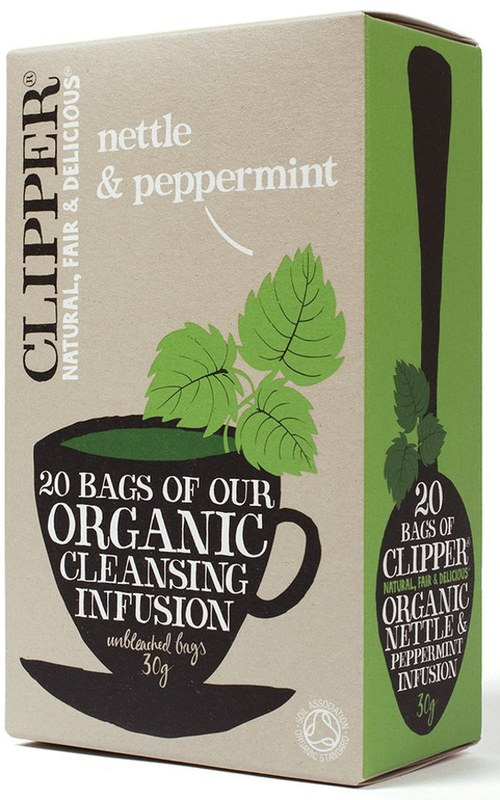 There are currently no questions to display about Clipper Nettle & Peppermint Tea 20 Bags.